As much as I want to be a singer, I am not a singer. American Idol would have me on the blooper loop. 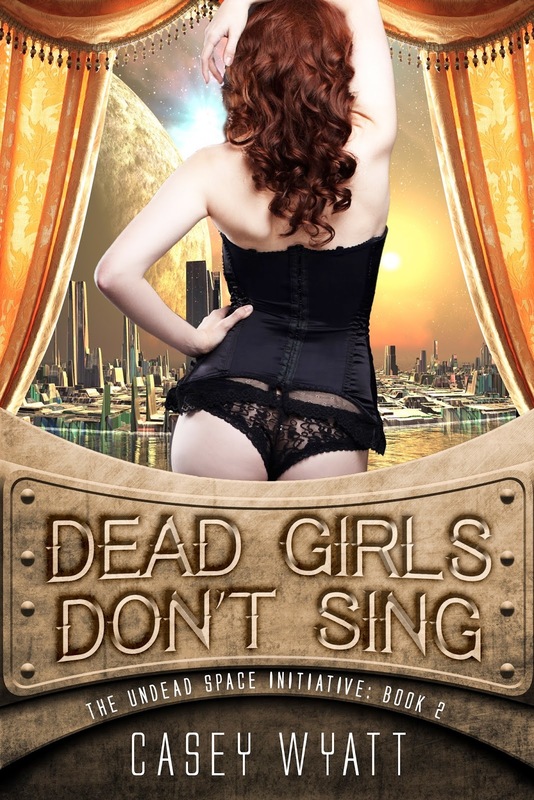 I am intrigued however, by this title, Dead Girls Don't Sing. 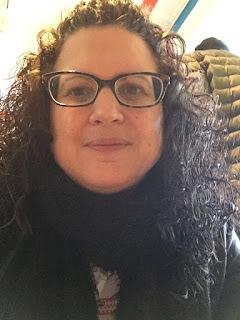 The author, Casey Wyatt, stopped by to chat with us this morning. Bonus! CW: Cherry Cordial is such a fun character. She first came to me while I was driving. All I heard in my head was “Vampire Stripper on Mars.” Cherry didn’t arrive fully formed but her personality was hard to ignore. Dead Girls Don’t Cry was the fastest book I ever wrote. Cherry and I were simpatico! Until I wrote book two – Dead Girls Don’t Sing – where I delved deeper into Cherry’s past as Charity Belmont, daughter of the Earl of Pembridge and Lady d’Aumont, wife of Jonathan (her vampire maker). Then we had a bit of a tussle over how much of her backstory was relevant to the book. In the end it took me the longest time to finish the story. But I did get it done! The thing I like the most about Cherry is that she is loyal, caring, and would do anything to keep her family safe. Much like me, she is stubborn and doesn’t like people trying to control her. Let’s just say that in Dead Girls Don’t Sing, we learn more about her human family (including her brother Edwin who deserves a book of his own) and more about her early vampire years. 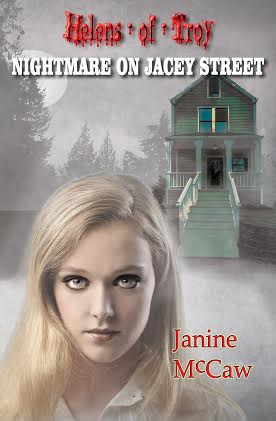 If you like family drama, this book has plenty along with humor and fast-paced action. SC: I think I want to visit the club Cherry worked at on Mars. But I digress. Do you believe in the paranormal and if so, do you have an experience you can share? CW: The scientist in me resists the idea of the paranormal being real but I’m open to the possibility. I’ve never encountered the paranormal in my waking life but I did have one experience back in 1992 that involved a dream. I dreamt that my great aunt (who I loved dearly) was in the hospital. One of my uncles and my aunt (who I don’t see much let alone dream about) were there and they were very upset. I woke up and dismissed it but that same day, I asked my mother if my great aunt was okay. She said she was fine. Two days later, my great aunt died of a heart attack. She had been taken to the hospital by the same aunt and uncle in my dream. So that alone tells me that, we humans, don’t know as much as we think we do. CW: Right now, I’m writing a paranormal romance, Chase’s Fire, (next book after Lachlan’s Curse). Once that is completed, I hope to go straight to Misfortunate Soul, (a sequel to Misfortune Cookie). It’s about time because Misfortune Cookie is a book that I get asked, “When’s the next one coming?” To those who’ve asked, “I hear you!” The only reason I didn’t go straight to it was I had just completed Dead Girls Don’t Sing, which is also first person and I needed a brain refresh. Thank you so much for having me. Got questions, please do ask away! SC: The pleasure is ours, Casey. Drop by anytime. Now let's take a look at your novel.